We’ve also had over 100,000 customers since we were first established and 76% of those have returned to us for further business. So we must be doing something right! Manchester is a major city and has a population of over half a million people. It is the second-most populated urban area in the UK and is famous for both its music and football culture. The M60 motorway surrounds the city and Manchester has a thriving events scene holding festivals such as Parklife which take place annually. When taking on a large event, such as a festival like this, there are certain regulations and standards that have been set in order for it to be lawful. 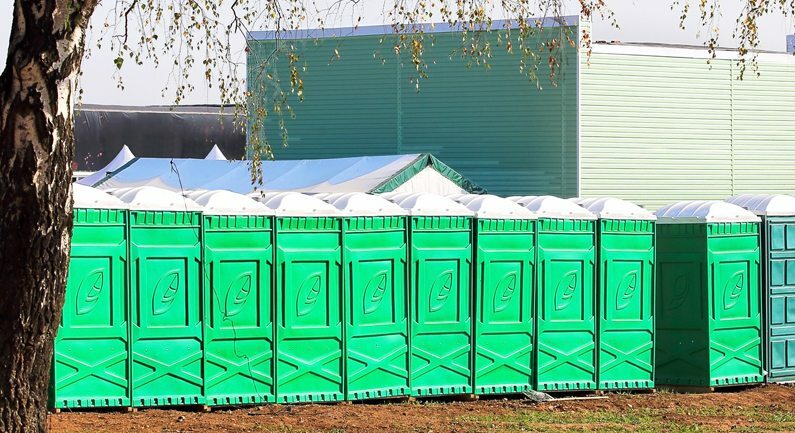 How many people are attending an event, how long the event is and whether or not alcohol is being consumed are all considerations when thinking about how many portable toilets are required. 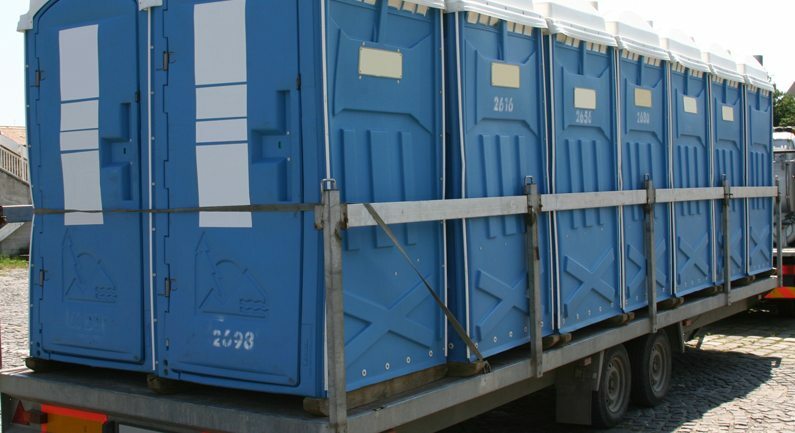 Here at TopToilets, we have a highly experienced team who can guide you on the correct number of portable toilets you will need to hire for your event or construction site. Also, we like to go that extra mile for you. We can provide soap or sanitizer and hand towels as well, so you don’t have to worry about it. Other services are also available, just give our team a call on 0844 272 3070 and find out everything we have to offer. Or fill in the 1-minute form online for a quick quote! Salford is a city in the metropolitan borough of Greater Manchester. The city has over 250 listed buildings and is known for the Salford Docks and for being home to media city. Over the years, there has been a number regeneration projects throughout the city of Salford. This has included a £550million development of Media City at Salford Quays, and a £650million scheme to transform Pendleton – building 1,500 new homes and modernising 1,300 existing houses. When taking on huge construction jobs such as these, you need a company who are reliable and can assure that your portable toilet hire will be delivered on time and with perfect customer service. That’s where TopToilets come in. We are a nationwide company with a great reputation, and take care of all of your portable toilet hire needs, so you don’t have to worry. Our job is to make your job easier so you can focus on the task at hand. This town, in Greater Manchester, is close to the West Pennine Moors and is roughly 10 miles away from the city centre of Manchester. It is home to the Great Hall of Smithills Hall, which was built back in the 14th century, is a Grade I listed manor house and is a scheduled monument. In March 2015, plans were revealed for a £3million plans for the town centre of Bolton. This included the shops around the Newport Street area being improved and rejuvenated by adding new seating, trees and lighting. The aim of these plans were to refresh the area, bring in new business and attract more people to shop and spend time in the area. On large construction sites, like regenerations, there is a requirement of a certain amount of portable toilets for however many people are working and for however long they are working for. The law also states that there should be washing facilities and that the workers should be able to wash up to their elbow in a sink. 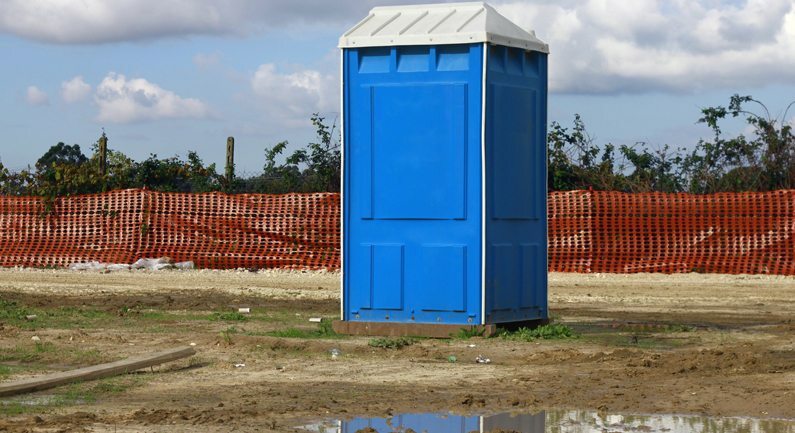 Here at TopToilets, we have all types of portable toilet hire along with excellent customer service so you’re never stuck without the correct equipment you need to make sure your site meets its duty of care. Rochdale is a market town located by the foothills of the South Pennines. It has a population of 108,000 people and is by the M62 and the M66, and its Town Hall is believed to be one of the finest community buildings in the whole of the UK. Plans were recently announced to completely transform Rochdale’s town centre. It included the creation of new leisure activities, better retail spaces, and more cultural and learning opportunities throughout. The transport links were also earmarked to be improved, along with the opening of a new public library and council offices. Large regeneration sites require portable toilet hire, and the larger the site, the more workers there will be, and therefore more toilets are needed. 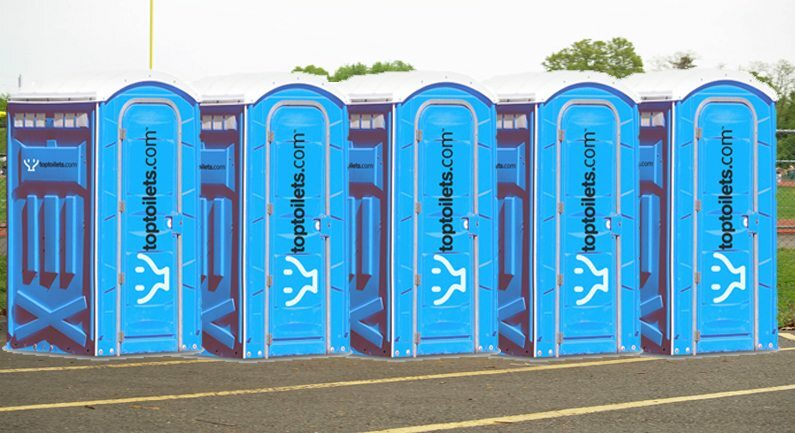 This can make portable toilet hire in high demand, but here at TopToilets, we have high availability on all of our toilets. So whether you’re working on a huge regeneration, such as this one in Rochdale, or you’re having your bathroom re-done at home, we can provide you with everything you need. There is never a job too big or small for us. This Greater Manchester town is located on the River Irwell. It is home to Bury’s ‘World Famous’ market that has been going for almost 600 years, and back in 2006, it was voted the best ‘British Market of the Year’ by the National Association of British Market Authorities. Bury hosts an annual festival called ‘Bury Light Night’ which is spread over two nights and is located in the culture quarter of Bury Town Centre, Kay Gardens, Church Gardens, Gallipoli Gardens and the Castle Armour. During outdoor events such as this one, portable toilets are a necessity. 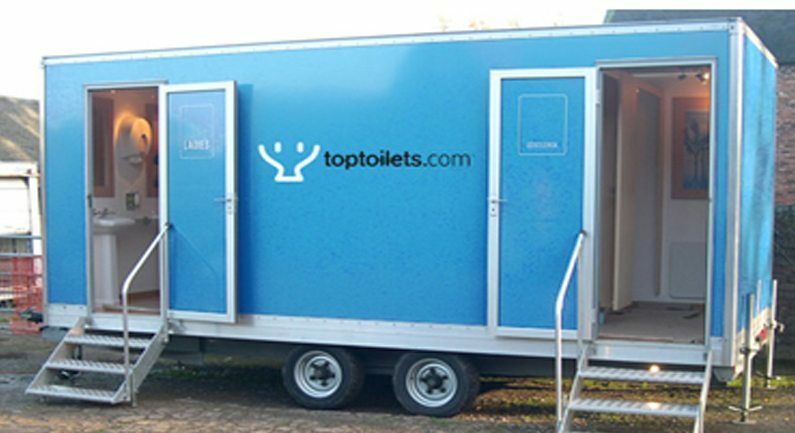 Here at TopToilets, we can offer the best prices on event toilet hire, festival toilet hire, urinal hire, disabled toilet hire and luxury toilet hire. We can also provide baby changing facilities, if needed. Also, you’ll need more toilets if alcohol is being consumed at the event – but don’t worry, our team here can provide you with all the advice and information you’ll need to get it right! Oldham is a town with a population of 97,000 people and is located between the River Irk and the River Medlock. It has easy access links to the M60 and the A627 motorways, and is a 32 minute train journey to the city centre of Manchester. In April 2016, plans were announced to revamp the town centre. This included 150,000 sq. ft. of retail space being added including Marks and Spencer store, 800 new homes and 700 car parking spaces. The HSE states that workers should be provided with toilet facilities and washbasins throughout their shifts. There are requirements for how many toilets are needed for how many people are working, whether it is just men, just women, or mixed use for the toilets, and how long the job will take. You can find out how many toilets you need for your site or event on our website, or just give us a call and we can talk you through it. For more information on portable toilet hire and what we can offer you, fill in our form online for a quick quote or give us a call on 0844 272 3070 and have a chat with our friendly team.